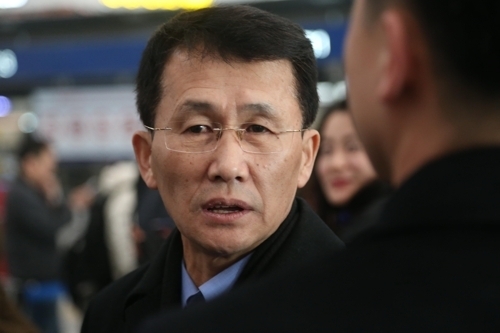 BEIJING, March 18 (Yonhap) -- A senior North Korean diplomat handling affairs with the United States headed to Finland on Sunday for semiofficial talks with the U.S. and South Korea. Choe Kang-il, deputy director-general for North American affairs at the foreign ministry, was seen at Beijing Capital International Airport before boarding a flight to Finland. 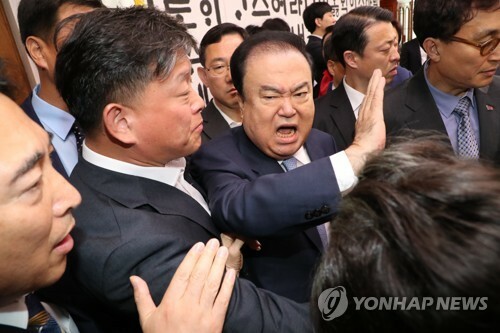 According to diplomatic sources in Seoul, Choe will take part in the "1.5-track" meeting in Finland this week with former U.S. diplomats, including former U.S. Ambassador to South Korea Kathleen Stephens, and security experts from Seoul. "There's nothing to share right now. I'll speak when I return," Choe said when asked about the agenda of the meeting. During the meeting, the parties are expected to exchange opinions on the denuclearization of the Korean Peninsula and an inter-Korean summit slated for late April and a U.S.-North Korea summit expected in May. Finnish news agency STT reported the talks will take place at the Japanese Embassy in Helsinki. Kimmo Lahdevirta, head of the Asia desk at the Finnish foreign ministry, said the meeting will be "academic" and "from the perspective of international relations." Choe was included in North Korea's high-level delegation to the PyeongChang Winter Olympics in late February. His visit raised prospects about possible contact between the U.S. and North Korea. The diplomat has represented his country on nuclear weapons and relations with the U.S. at international conferences and in western media. In September 2017, Choe attended a similar semiofficial forum in Switzerland co-hosted by the Geneva Centre for Security Policy and Switzerland's foreign ministry.